The Hot and Healthy Body Academy is the missing instruction manual to your body. Whether you're a beginner or advanced, this program is for you. Step by step easy to follow workouts and recipes designed for women. Workout out at home or in the gym. Printable workouts, photos of every exercise and exclusive workout videos. Start seeing immediate results while getting hot and healthy from the inside out. 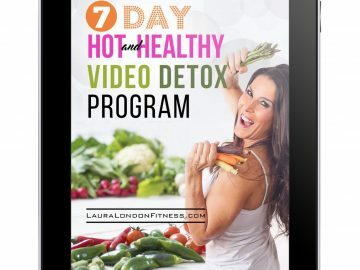 The Hot and Healthy Body Academy is a 4 week system that is going to teach you how to stop all the craziness and learn how to love your body. You will eat real, healthy foods and shed those stubborn pounds once and for all. You will learn to lose weight with no calorie counting, no deprivation, and no expensive fitness equipment. I am going to teach you how to tune into your own body’s natural weight loss cycles. This is the simple direction manual to your body that has been missing from your life. The Hot and Healthy Body Academy includes a 4 week system to follow. The nutrition and fitness journal contains even more helpful information and motivation, 4 circuit workout videos you can do at home or in the gym, photo images of all 4 workouts PLUS 21 individual coaching videos that will walk you through every step of the Hot and Healthy Body Program. You will discover the core reason you want to change your body and life for the better. You can follow the simple recipe plans so you will stick to your goals to achieve a lasting, healthy lifestyle, and chart your progress, successes, and the whole journey along the way. How a certain morning ritual could be the root of many of your fitness and health problems. The key to having unlimited energy… no matter how jam-packed your crazy schedule is! If you thought this was going to be too hard, too expensive or time consuming think again. This is not about bland boring food, cutting out whole food groups or lack of will power. The Hot and Healthy Body is about learning how your body functions, so you truly understand how to operate it once and for all. It’s the missing instruction manual to your gorgeous body. Finally! 21 Coaching videos to keep you lazer focused and on track. It’s like having me at your house.